Getting comfortable in either car is no hassle at all, because both have a generous amount of manual adjustment in their steering wheels and driver’s seats. 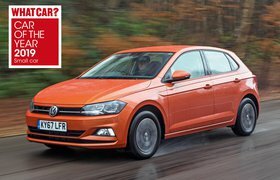 The Ibiza’s sports seats have chunkier side bolsters than the Polo’s, so you’re held in place better through corners, but Volkswagen offers the chance to add sports seats with adjustable lumbar for a reasonable £200. Seat, on the other hand, doesn’t offer adjustable lumbar support at all – even as an option. Neither car comes with any parking aids as standard, so although seeing out the front is easy enough in both cars, the Polo’s taller, wider rear windows make it the easier car to reverse into tight parking spots. That’s the price you pay for Seat’s edgier styling. Happily, the Ibiza can be equipped with rear parking sensors for £220, while you can add a reversing camera to the Polo for £250 and to the Ibiza for £425. The quality of the materials is slightly better in the Polo, too. 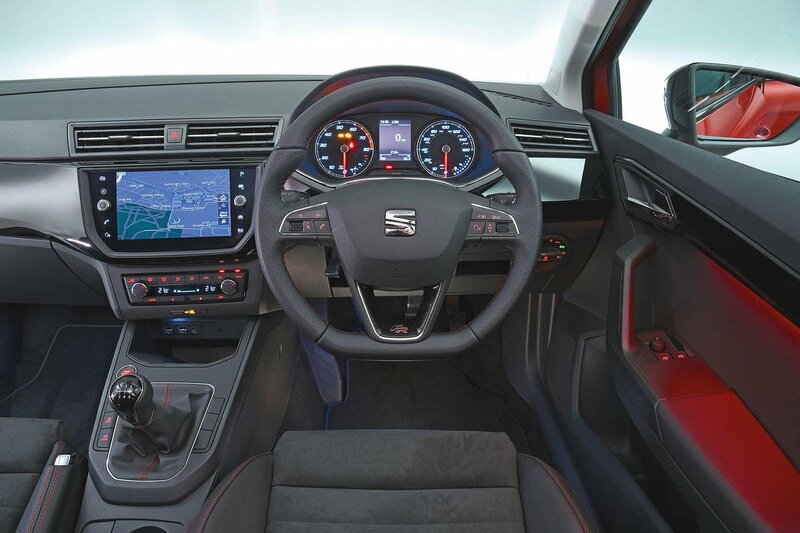 Its door panels, like the Ibiza’s, are made from hard, brittle plastics, but while that continues on the top of the Ibiza’s dashboard, the Polo has been treated to softer, denser dashboard plastics which look and feel that little bit classier.